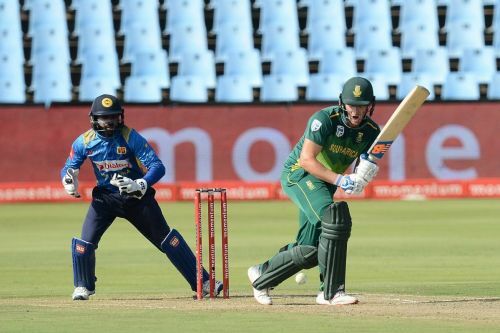 Having sealed the series in the first three ODIs, South Africa are set to host Sri Lanka at St. George’s Park for the fourth ODI. The Proteas looks in scintillating form in white-ball cricket while the Lankan Lions are starting to lose their mojo after the high of the Tests. This series promised a lot of end-to-end high voltage drama, but it’s turning out to be a one-sided affair. South Africa have announced themselves as one of the strongest contenders to lift the upcoming ICC World Cup in England. They have a nicely balanced squad with several potential match-winners in their ranks. Faf du Plessis would be pleased with his team’s disciplined and dominant performance in the ODIs, after they were under the pump in the wake of the Test loss. The hosts now have the privilege to experiment with their playing XI, with the series already in their kitty. Sri Lanka, on the other hand, have had quite a topsy-turvy tour in South Africa. After their historic Test series win, they have failed miserably to live up to the expectations in the ODIs. This series was expected to be a significant learning curve for the visitors ahead of the ICC World Cup. However, it seems that the subcontinent side are not learning from their mistakes and could well be on their way to another series whitewash. Sri Lanka would be hoping to end this forgettable series on a winning note as they have only pride to play for in the final two games. #CSAnews Markram, Duminy and Amla return to Proteas ODI squad. - JP Duminy, Hashim Amla, and Aiden Markam have been included in the squad for the final two games. - Reeza Hendricks and Wiaan Mulder have been left out after their poor performances. - Kusal Perera is ruled out of the series due to a hamstring injury. - Upul Tharanga joins the squad to replace him.